There are times when we want to splurge, but being on a budget is necessary for a lot of curlies, especially students. Getting ready for a new school year can be overwhelming and sometimes our curls can get neglected. You can get great items at the drugstore that can eventually be a part of your Holy Grail products. Here are the top 10 drugstore products that are under $10. This shampoo is paraben free and sulfate free. Jojoba oil and vitamin E are included to moisturize hair without stripping natural oils from hair. This shampoo is a gentle cleanser and would be a great addition to a curly’s regimen. What a great deal for a vegan product! 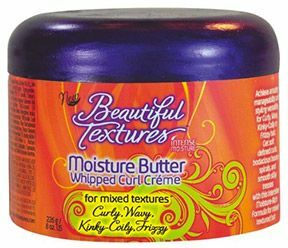 A favorite by many curlies, this product is great and affordable. It contains aloe vera and avocado extracts that will leave your curls moisturize and bouncy. This conditioner has much slip, which is perfect for detangling. The coconut fragrance will have you think it’s summer year round. This cheapie but goodie is another great conditioner for detangling due to its slip. It’s also a great co-wash conditioner that gives your hair the moisture it needs without the need of leaving it in for an extended period of time. Here's a shampoo that’s moisturizing and will keep your money in your pockets. This nourishing shampoo contains dead sea minerals for detoxify the hair. 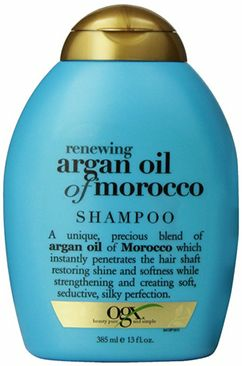 Argan oil is added in this shampoo to keep hair shiny and smooth. Vitamin E and antioxidants are also included to help maintain healthy hair. This shampoo is a great choice to use before heat usage to help clean your hair and add a bit of moisture. Organic botanicals are formulated in this product to keep the hair moisturized without weighing it down. This leave-in conditioner strengthens the hair due to the vitamins and nutrients in the product. It also gives the hair volume. This is a great leave-in conditioner at a low price! 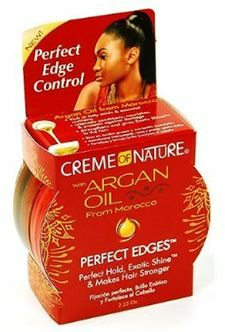 A great edge tamer at a low price! 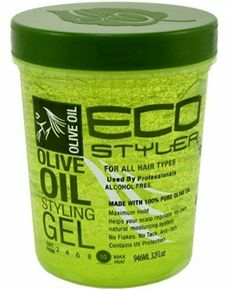 This gel has strong control and hold that’s usually needed for hairstyles such as ponytails and other updos. It contains argan oil to prevent dryness. It’s literally what is says! This product doesn’t contain mineral oil, sulfates, parabens, colorants, or phthalates. This product is an affordable shampoo and doesn’t contain harsh ingredients. Ahh, this gel provides curlies with desired definition. It is alcohol free and gives the hair shine. You won’t have to worry about dryness or flakes with this product! The olive oil also aids in giving the hair moisture. The whip curl crème contains coconut oil, aloe, and olive oil. Shea butter and mango butter is also provided to help seal moisture in your curls. It also smells yummy and will leave your hair happy!